Every kind of kipa (yarmulke) imaginable is available in this stall: crocheted, satiny, patterned, velvet and more in every color imaginable and representing dozens of sports teams. 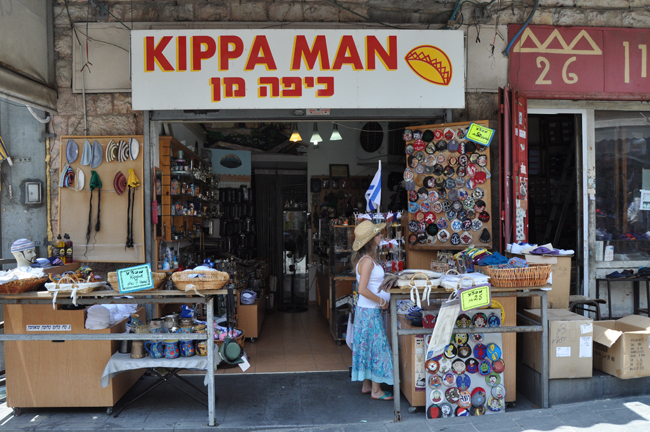 Kipa Man also sells religious objects and tourist trinkets. For me the shuk is heaven on Earth.